International diplomats will gather on January 22 in the Swiss town of Montreux to hammer out a settlement designed to end Syria’s three-year civil war. The conference, however, will be far removed from the reality on the Syrian battleground. Only days before the conference was scheduled to begin, a controversy threatened to engulf the proceedings after the United Nations invited Iran to participate, and Syrian rebel representatives successfully pushed for the offer to be rescinded. The inability to agree upon even who would be attending the negotiations is an inauspicious sign for a diplomatic effort that was never likely to prove very fruitful. Widespread pessimism over a functional power-sharing agreement to end the fighting has led to dramatic speculation that Syria is doomed either to break into sectarian statelets or, as Haidar articulated, revert to the status quo, with the Alawites regaining full control and the Sunnis forced back into submission. Both scenarios are flawed. Just as international mediators will fail to produce a power-sharing agreement at this stage of the crisis, and just as Syria’s ruling Alawite minority will face extraordinary difficulty in gluing the state back together, there is also no easy way to carve up Syria along sectarian lines. A closer inspection of the land reveals why. Before the 1916 Sykes-Picot agreement traced out an awkward assortment of nation-states in the Middle East, the name Syria was used by merchants, politicians and warriors alike to describe a stretch of land enclosed by the Taurus Mountains to the north, the Mediterranean to the west, the Sinai Peninsula to the south and the desert to the east. If you were sitting in 18th-century Paris contemplating the abundance of cotton and spices on the other side of the Mediterranean, you would know this region as the Levant — its Latin root “levare” meaning “to raise,” from where the sun would rise in the east. If you were an Arab merchant traveling the ancient caravan routes in the Hejaz, or modern-day Saudi Arabia, facing the sunrise to the east, you would have referred to this territory in Arabic as Bilad al-Sham, or the “land to the left” of Islam’s holy sites on the Arabian Peninsula. Consequently, only twice in Syria’s pre-modern history could this region claim to be a sovereign and independent state: during the Hellenistic Seleucid dynasty, based out of Antioch (the city of Antakya in modern-day Turkey) from 301 to 141 B.C., and during the Umayyad Caliphate, based out of Damascus, from A.D. 661 to 749. Syria was often divided or subsumed by its neighbors, too weak, internally fragmented and geographically vulnerable to stand its own ground. Such is the fate of a borderland. Unlike the Nile Valley, Syria’s geography lacks a strong, natural binding element to overcome its internal fissures. An aspiring Syrian state not only needs a coastline to participate in sea trade and guard against sea powers, but also a cohesive hinterland to provide food and security. 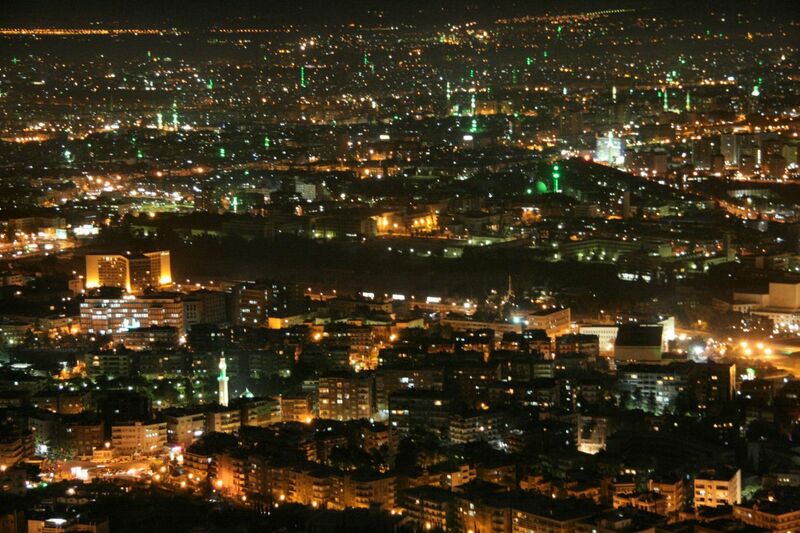 Syria’s rugged geography and patchwork of minority sects have generally been a major hindrance to this imperative. Syria’s long and extremely narrow coastline abruptly transforms into a chain of mountains and plateaus. Throughout this western belt, pockets of minorities, including Alawites, Christians and Druze, have sequestered themselves, equally distrustful of outsiders from the west as they are of local rulers to the east, but ready to collaborate with whomever is most likely to guarantee their survival. The long mountain barrier then descends into broad plains along the Orontes River Valley and the Bekaa Valley before rising sharply once again along the Anti-Lebanon range, the Hawran plateau and the Jabal al-Druze mountains, providing more rugged terrain for persecuted sects to hunker down and arm themselves. The saddle of land from Damascus to the north is relatively fluid territory, making it an easier place for a homogenous population to coalesce than the rugged and often recalcitrant coastline. Aleppo sits alongside the mouth of the Fertile Crescent, a natural trade corridor between Anatolia to the north, the Mediterranean (via the Homs Gap) to the west and Damascus to the south. While Aleppo has historically been vulnerable to dominant Anatolian powers and can use its relative distance to rebel against Damascus from time to time, it remains a vital economic hub for any Damascene power. The French, who had the strongest colonial links to the Levant, were masters of the minority manipulation strategy, but that approach also came with severe consequences that endure to this day. In Lebanon, the French favored Maronite Christians, who came to dominate Mediterranean sea trade out of bustling port cities such as Beirut at the expense of poorer Sunni Damascene merchants. France also plucked out a group known as the Nusayris living along the rugged Syrian coast, rebranded them as Alawites to give them religious credibility and stacked them in the Syrian military during the French mandate. When the French mandate ended in 1943, the ingredients were already in place for major demographic and sectarian upheaval, culminating in the bloodless coup by Hafiz al Assad in 1970 that began the highly irregular Alawite reign over Syria. With the sectarian balance now tilting toward Iran and its sectarian allies, France’s current policy of supporting the Sunnis alongside Saudi Arabia against the mostly Alawite regime that the French helped create has a tinge of irony to it, but it fits within a classic balance-of-power mentality toward the region. The United States may be leading the ill-fated peace conference to reconstruct Syria, but it doesn’t really have any strong interests there. The depravity of the civil war itself compels the United States to show that it is doing something constructive, but Washington’s core interest for the region at the moment is to preserve and advance a negotiation with Iran. This goal sits at odds with a publicly stated U.S. goal to ensure al Assad is not part of a Syrian transition, and this point may well be one of many pieces in the developing bargain between Washington and Tehran. However, al Assad holds greater leverage so long as his main patron is in talks with the United States, the only sea power currently capable of projecting significant force in the eastern Mediterranean. The Geopolitics of the Syrian Civil War is republished with permission of Stratfor.